Soak up the sun with faded palm foliage. Taking a retro stance on a swing silhouette, girls graphic tank top features a vintage palm tree print at the center front and contrast rib knit neckline. 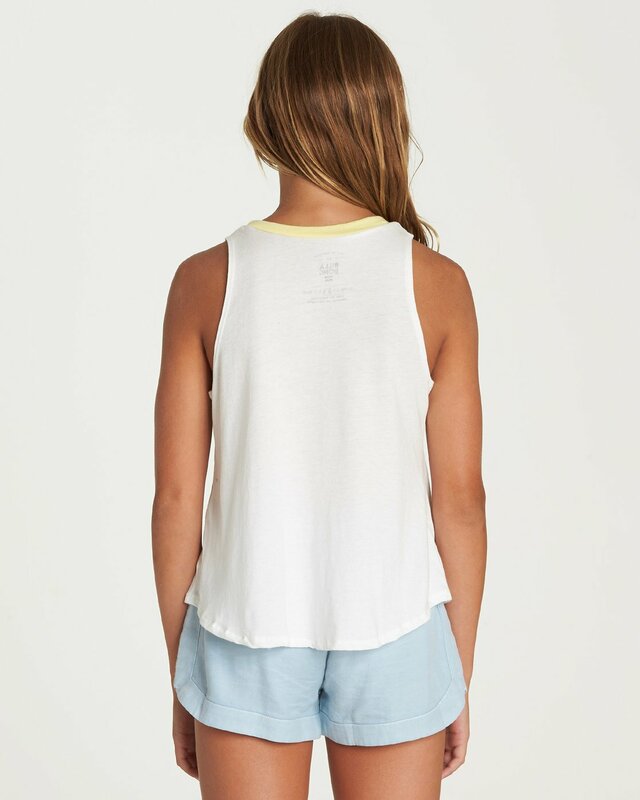 Made from soft modal blend jersey, the tank offers an easy drape and A-line cut. Vintage Billabong print at front.